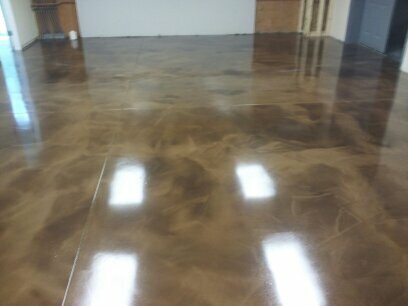 Reflector Enhancer Epoxy Floor in Falmouth, Me. 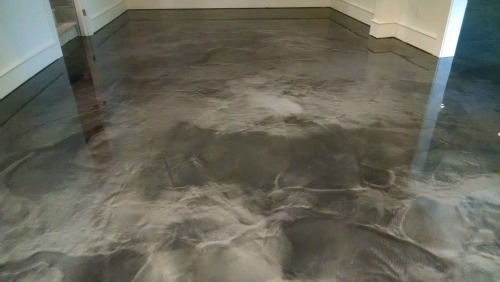 Here is a reflector enhancer epoxy floor we installed in Falmouth, Me. 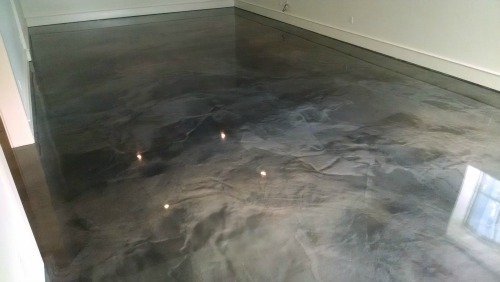 The colors we used to create this floor were Gunmetal and Titanium. This was a finished basement in a new construction home. The floor area was approximately 1100 square feet. The first thing we did was grind the concrete to open the surface and clean it. Then we installed our moisture blocker / primer epoxy coating. After the primer was dry we coated the floor with our black base coat. Then, as you see in the picture above, we applied the reflector enhancer epoxy. You never really know what the finished floor will look like until it's dry. That's the beauty of using metallic epoxy coatings, each floor is unique and can't be duplicated. Our reflector enhancer epoxy floors are great for basements, garages, businesses, stores, and showrooms. 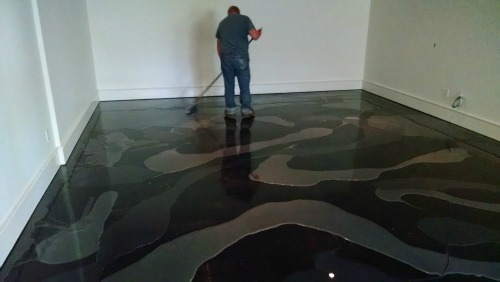 Epoxy is very durable and easy to clean. We have clear top-coatings we can apply over the epoxy that are very scratch resistant and chemical resistant. We can also add slip-resistant additives in the top-coat for wet environments. If you like this kind of epoxy flooring in your Maine home and would like me to give you an estimate just click here. Take a look at our reflector enhancer epoxy color chart for all the colors we offer. 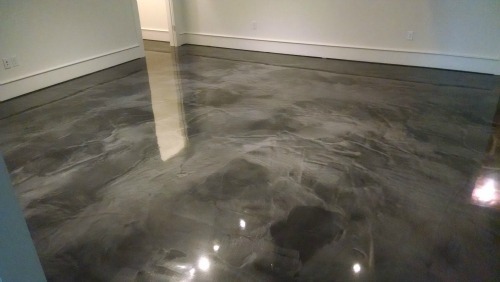 Day's Concrete Floors, Inc is Maine's certified and trained installer of reflector enhancer epoxy coatings. 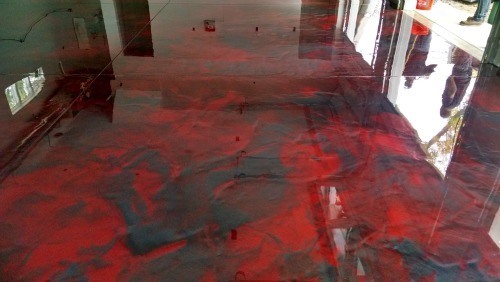 You can take a look at some other reflector enhancer epoxy floors we've installed using some different colors.